Please Note: These steps will need to be are carried out by your Google super administrator. 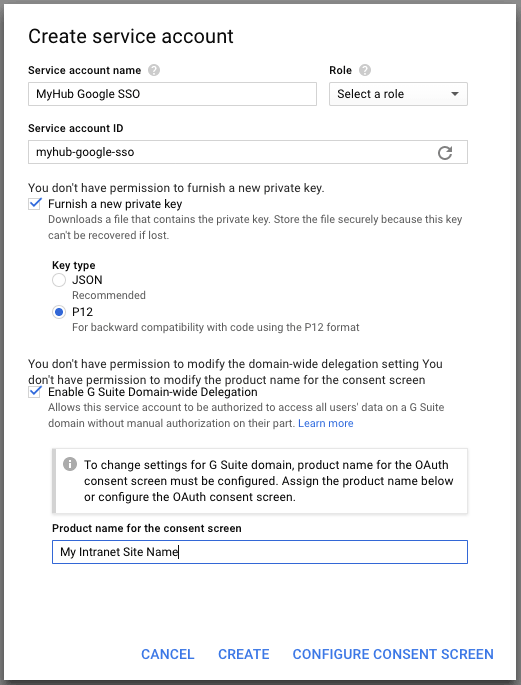 In order to enable Google Single Sign-On (SSO) for your MyHub site, you will need to go through the following setup stages. 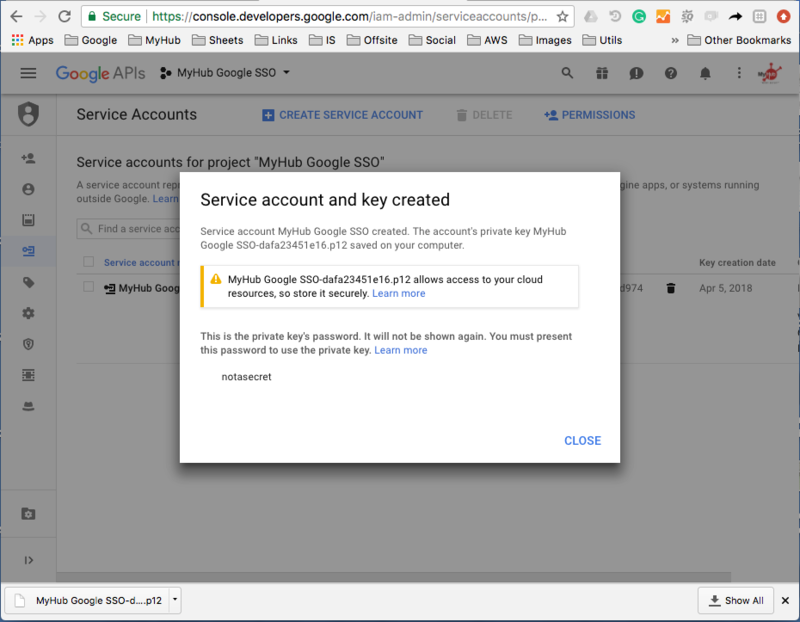 In order to allow your MyHub instance to work with Google SSO the first stage is configuring a new Google Authentication provider to work with your site. You will need to get your Google administrator to complete all of the following steps in sequence within this stage. 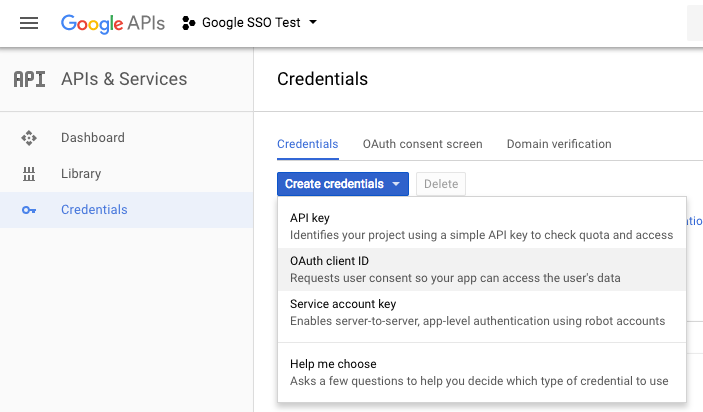 Step 1: In your browser, go to https://console.developers.google.com - Please note the Google interface options change depending on where you are so you will need to be familiar with the Google APIs interface. Step 3: Enter your product/project name in the Product name field, this is the only required field. You may fill in the optional information if you wish. 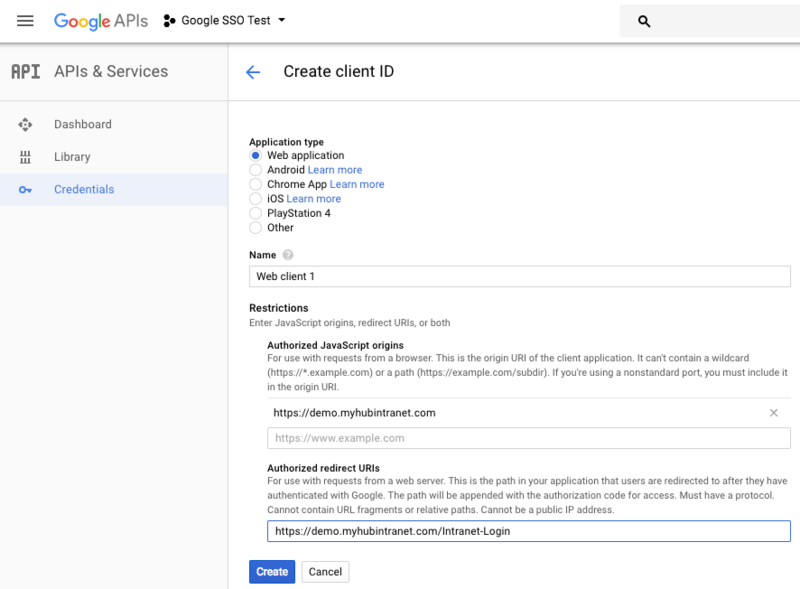 Step 8: Google will now provide you with a client ID and your client secret. Copy these down, as we will need them in the next part. An example is shown below. Once you have completed stage 1, you will be able to continue to stage 2 which involves two separate steps as follows. 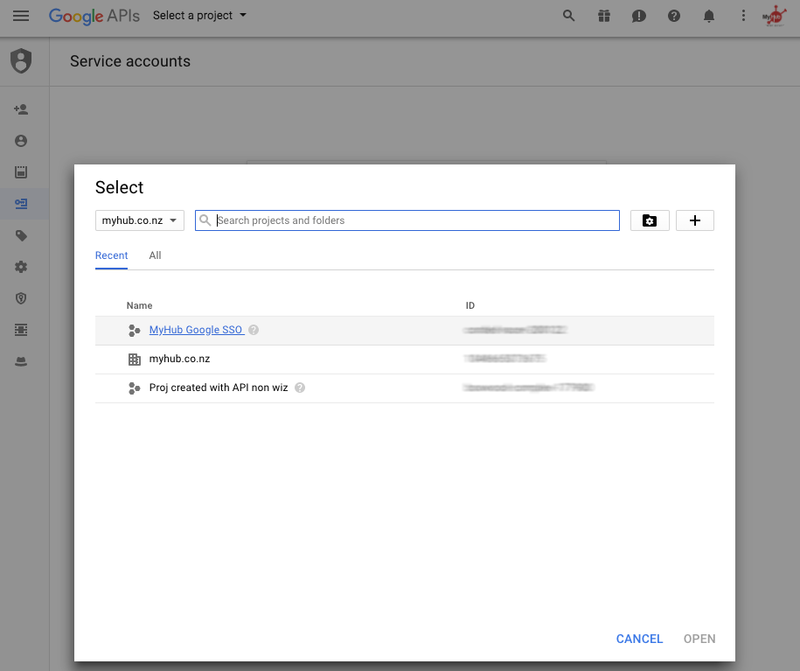 Step 2: Create a service account, first review the instructions available at https://developers.google.com/identity/protocols/OAuth2ServiceAccount?hl=en_US#creatinganaccount. We've also listed the steps below. Step 3: Select the appropriate project you have just created from the previous steps. Step 5: In the Create service account window, type a name for the service account, and select Furnish a new private key. If you want to grant G Suite domain-wide authority to the service account, also select Enable G Suite Domain-wide Delegation. Then click Create. 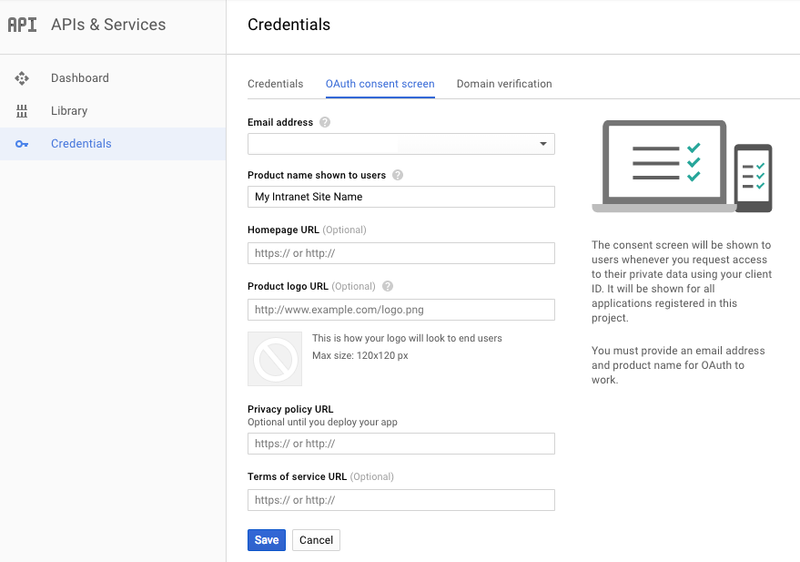 Please note you will need to select the option to grant G Suite domain-wide authority to the service account mentioned. Important note: Please select the P12 file option. 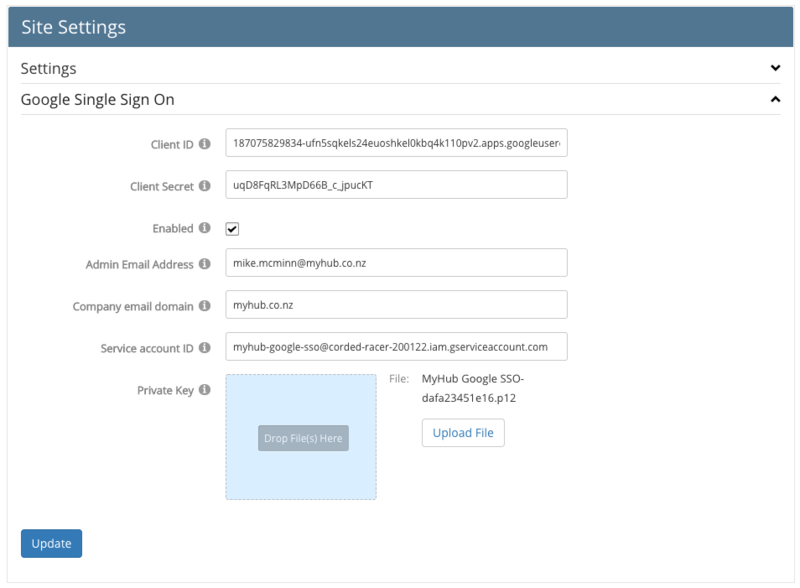 The Create service account will look similar to the following. Step 6: The P12 file will be downloaded to your computer, please also note down the private key's pass for future reference. Then click Close. 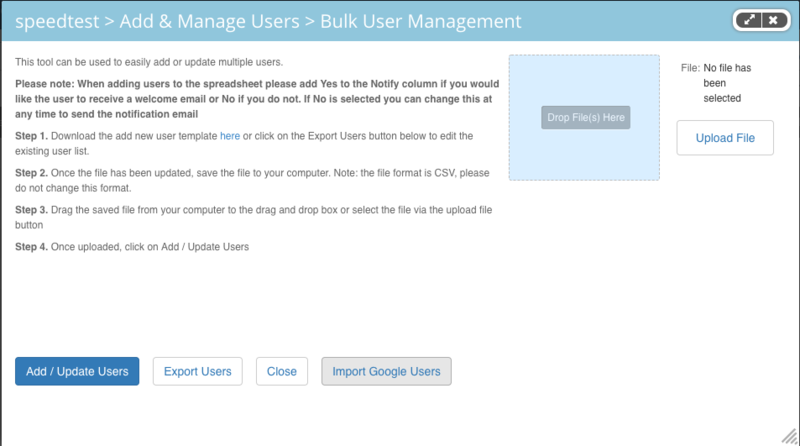 Once you have completed the previous stages you should be able to import all of your Google users into MyHub using the "Import Google Users" button function within the "Add & Manage Users" administration area on your MyHub site. 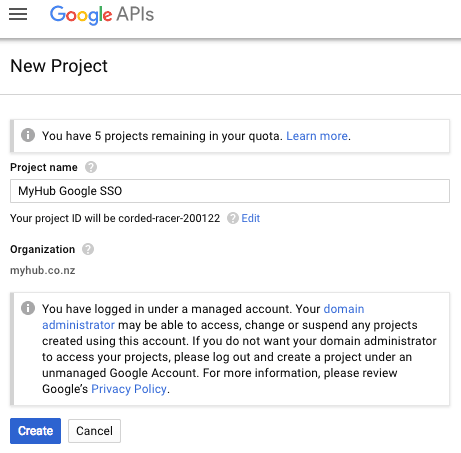 Please note, after you have performed your initial import of users from Google, if you add new users to Google you will need to re-run the "Import Google Users" function again to add the additional users to your MyHub site. The existing users within MyHub will not be affected by this operation. 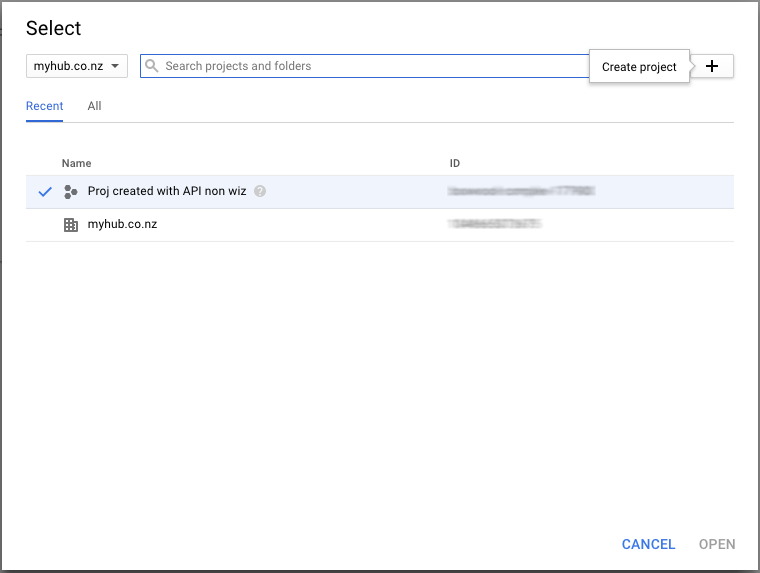 If you delete users from Google you will need to delete the relevant MyHub users using the "Delete Selected Users" functionality within the "Add & Manage Users" administration area or you can delete them individually. 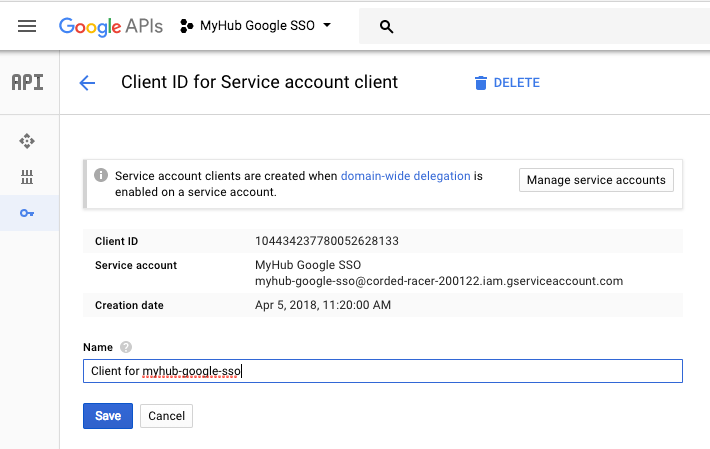 New users imported from Google will be prefixed with "Google-"
Tip: To update your MyHub users, for example, to assign roles to them, you can use the CSV import/export functionality after you have performed the initial or subsequent import of users from Google.